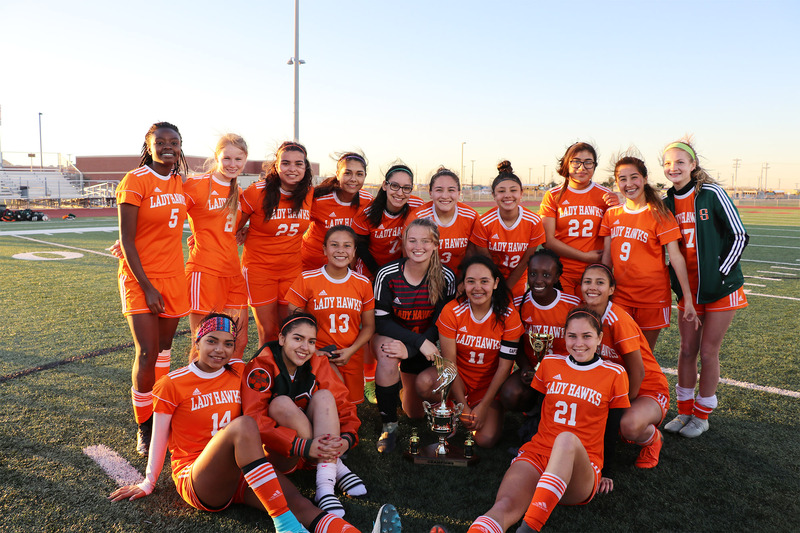 The Harlingen High School South Varsity Lady Hawks were crowned Tournament Champions at the Donna North Soccer Tournament of Champions. Mellory Grannum (#8) was named Most Valued Player. The team is 10-0 for the season and will play against Weslaco on Tuesday, Jan. 22, at Weslaco High School at 6 p.m.
Below are the full tournament results. The entire team played terrifically. Every girl was crucial in our wins, coach and I are so very proud of them. We couldn’t have asked for a better group of girls; they play to win and work so well together.